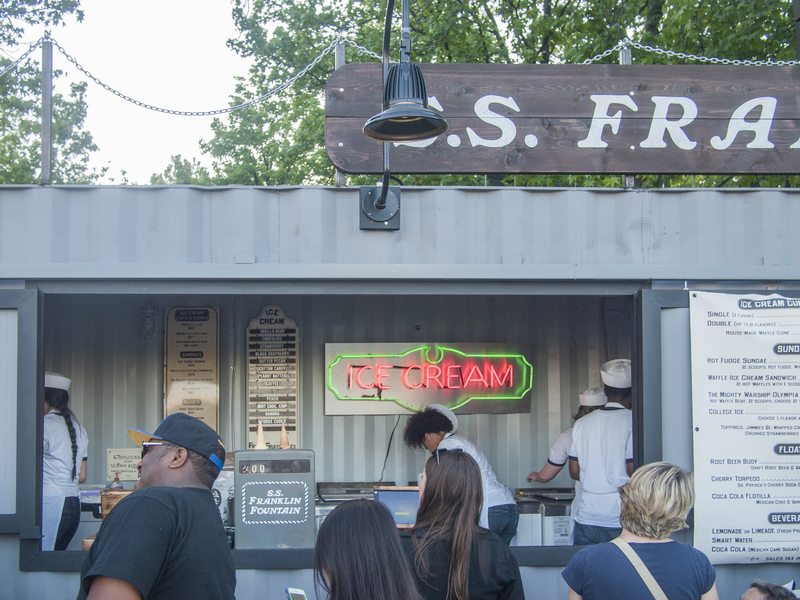 The S.S. Franklin Fountain, home to the Warship Olympia waffle sundae. at the Spruce Street Harbor Park, 24 May 2015. 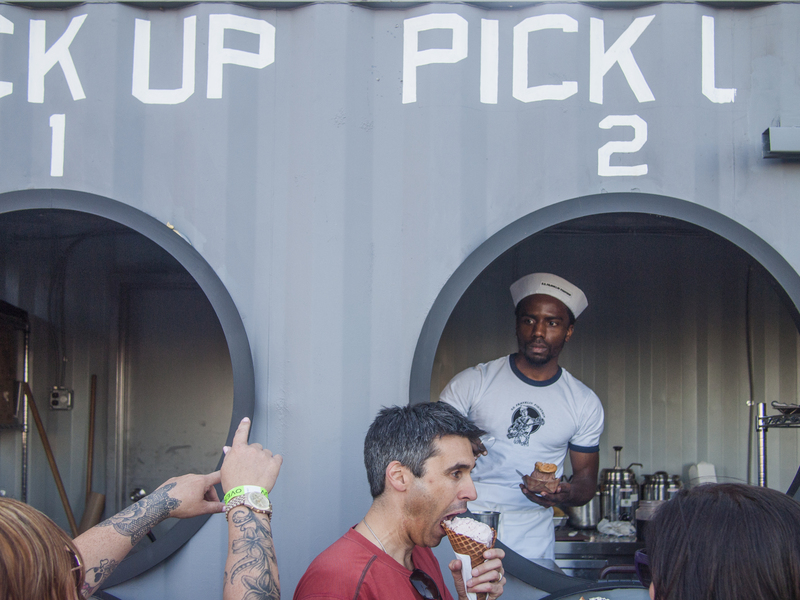 The porthole pick up windows of the shipping container S.S. Franklin Fountain and a very happy customer enjoying his fresh (still warm) waffle cone, 24 May 2015. 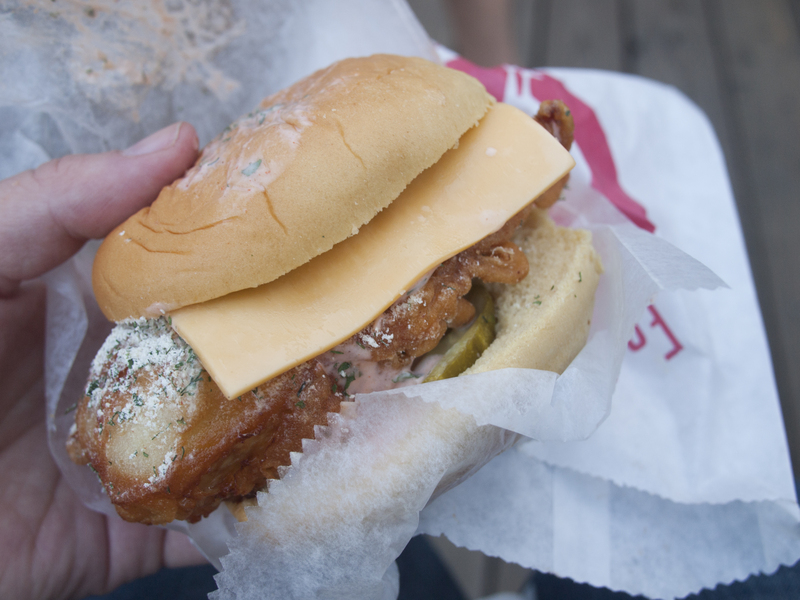 It might not look like much, but this chicken sandwich from Port FedNuts is top five best chicken sandwiches I’ve ever had, 24 May 2015. 28 May	This entry was published on May 28, 2015 at 7:34 am. It’s filed under Old City and tagged #SSHP, #whyilovephilly, Spruce Street Harbor Park. Bookmark the permalink. Follow any comments here with the RSS feed for this post.